What is schedule 40 plastic PVC pipe fittings dimensions? Taizhou Zhuoxin Plastics Co., Ltd. (SAM-UK) ,which was established in 2006 and located in "The home of plastic and mould in China," Huangyan.We are a professional manufacturer in producing ‘SAM-UK” brand products .Our main products are PVC,CPVC, PP ,PPR pipes ,pipe fittings, valves, taps, and so on .Currently we mainly supply ANSI standard ,NBR standard, BS standard ,DIN standard etc .We own the certificates of SGS,SONCAP,ISO9001 and CE .Our products are sold well in the world. Our company has always believed that quality is the essence of enterprise production .so we spare no efforts to introduce talents, perform 6s management for standardized production. And we have established laboratories and technical inspection department(we have an advanced chemical engineer, several technical personnel). We strictly control the quality of raw materials and products to help the customers liberate their worries after the sale. 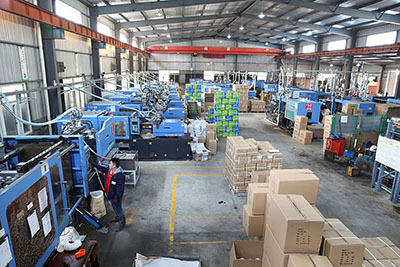 In terms of production efficiency, funds are invested to purchase injection molding machines, hand and automatic batching systems, which greatly reduce the dust concentration in the production workshop. It beautifies the workshop environment at the same time , as well as safeguards the vital interests of workers. In seeking development, we adhere to the people-oriented, building a harmonious enterprise as our principle .We held various training irregularly in order to let the employees and businesses develop together. And organizing a lot of activities to enrich staffs’ lives .It is also enhance the cohesion between enterprises and staffs , staffs and staffs. Welcome to the community to join the elite team Zhuoxin.We sincerely welcome customers domestic and overseas to visit our company for advising and cooperating.